I placed these sweaters on my polyvore and the fact that they got so popular tells me that I'm the not only one that feels "please-don't-take-me-to-dinner-tonight" kinda way!! 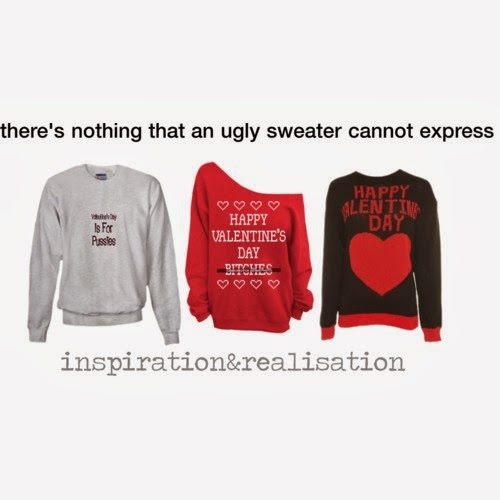 because nothing say Happy Valentine's day like an ugly sweater can do!! !